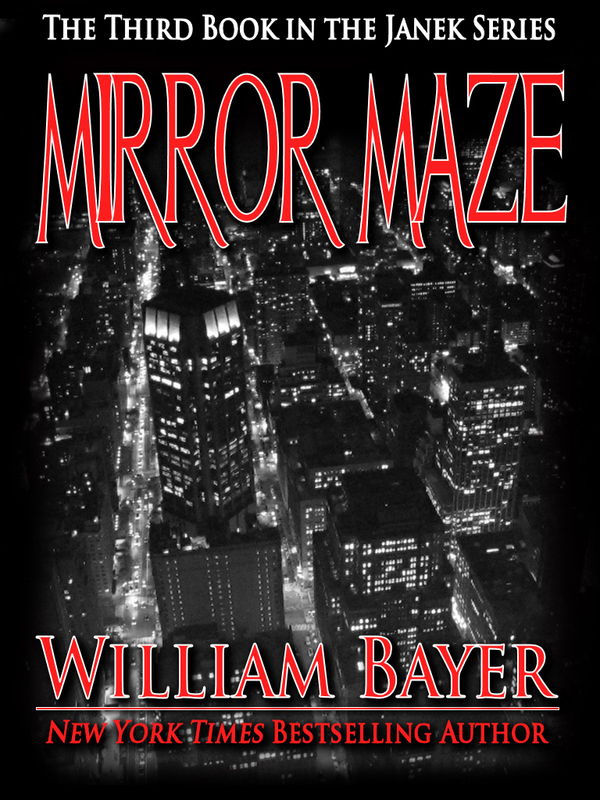 WILLIAM BAYER’s MIRROR MAZE is the third and last novel in his Janek series. A secret hall of mirrors, a labyrinth of fear: NYPD detective Frank Janek returns in a hypnotic psychological thriller. . . a brilliant novel of excitement and terror. A beautiful young woman meets her latest “pickup” in a Manhattan hotel bar and goes back with him to his room, where she drugs him, robs him, and humiliates him. Several hours later, the “mark” is found dead, the mysterious young woman is wanted for the murder, and Janek and his team of detectives are assigned to the case. Simultaneously, Janek becomes involved in the reopening of a grisly society-murder investigation that has plagued NYPD Internal Affairs for nine years. As he sets out to solve both puzzles, the present and past eerily dovetail, culminating in a deadly battle in a secret mirror maze hidden beneath a “ghost” amusement park. MIRROR MAZE sinuously leads the reader through one maze after another. . .literal, theoretical, and psychological. As with the other best-selling Janek novels, Switch and Wallflower, MIRROR MAZE is a superb police procedural, tense and violent, as well as a thoughtful examination of the blurring of illusion and reality, innocence and guilt.